Home - Find the Seeker! Find the Seeker! by Zen Master Genro Xuan Lou, Laoshi and his pupil, Zen teacher Clifford Stevens, takes us on an inner pilgrimage, compassionately picking us up where we are, whether beginners or longstanding seekers. Clifford Stevens (Ki-ichi) was born in the United States. His career included stints as a teacher, journalist, PR manager and translator. He has studied Qi Gong, Zen and meditation with Genro Xuan Lou, Laoshi for many years. 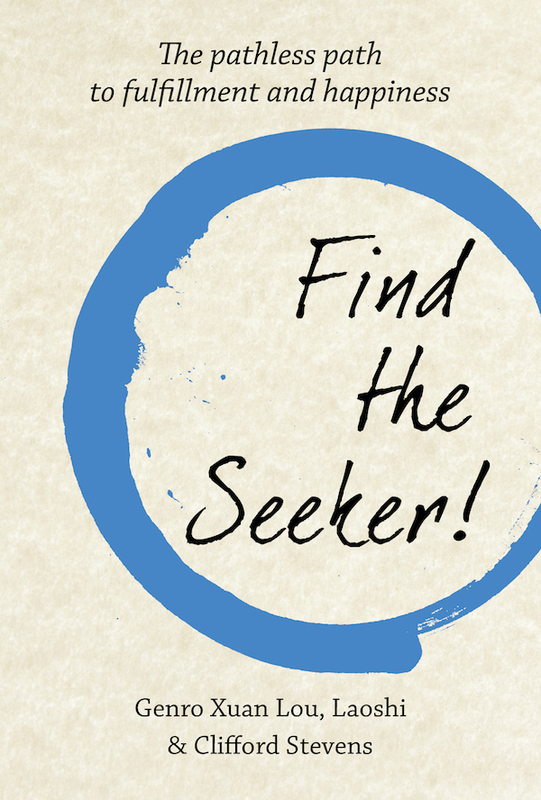 Early Praise for Find the Seeker! “Find the Seeker is fresh as spring grass and refreshing as a clear stream. From the very start, the teachings in this book refuse to be confined to a spiritual checklist or manual of meditative techniques. Instead, the authors again and again challenge readers to return to the vibrant truth of original nature. Going beyond optimistic self-help and nihilistic despair, Genro Xuan Lou and Clifford Stevens remind us of how wonderful it is to let go of grasping and taste the vividness of direct experience.” – Robert Meikyo Rosenbaum, neuropsychologist and psychotherapist, Zen and Qi Gong teacher, author of Walking the Way: 81 Zen Encounters with the Tao Te Ching, and Zen and the Heart of Psychotherapy. “Here is an enthusiastic account of the Zen way that is full of the excitement of discovery after discovery. Genro has an imaginative feel for how Zen can rhyme with Western tradition. The book is designed for you to take the ride and change your heart, rather than add to your learning in the normal way. It should be issued with seat belts. Genro’s insight is disarming and fun and worth experiencing.” – John Tarrant, Zen teacher, founder and director of the Pacific Zen Institute, author of The Light Inside the Dark and Bring Me the Rhinoceros.